When you're a Twitter superstar and your husband is playing Jesus in "Jesus Christ Superstar," you really only have one job. And Chrissy Teigen fully did that job as the unofficial official live-tweeter of NBC's "Jesus Christ Superstar Live," offering her thoughts on the show (and the costumes) as well as a few behind-the-scenes tidbits along the way. It was precisely what we all needed and wanted from the wife of Jesus Christ, to be honest. It all started with a party in Jesus/John Legend's trailer, complete with a John Legend prayer candle and a very appropriate Kanye track, and it remained appropriate throughout the night. Like many of us who didn't already know this tale, Chrissy was a tad confused when we met the men in those incredible coats. Chrissy loved Jesus' magic chair bit just as much as we did. And Chrissy also fangirled over Sara Bareilles, as we all do. And she pointed out one of the biggest visual aspects of the show (aside from the coats): those deep Vs.
Chrissy found one scene of the show extremely relatable. She supported her husband, obviously ... and then she dealt with the downside (or the upside, depending on your perspective) of a two-and-a-half-hour show. Afterward, Chrissy took on a troll or two and all felt right in the world of both Twitter and live musicals. 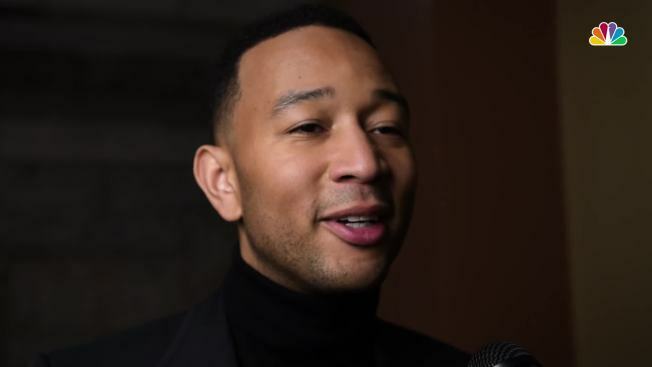 May we be blessed in the future with more live events starring John Legend so that Chrissy Teigen can live-tweet them. Amen. "Jesus Christ Superstar Live" aired on NBC.